Unofficial Deakin University Slack instance. Students and staff with a deakin.edu.au email address are welcome to join. The Digital Humanities Slack is a set of informal, connected chat rooms for the digital humanities, with over 50 "channels" (chat rooms) devoted to specific topics such as DH teaching, coding, and conferences. Come join us! Absolutely no DH background is required. Before signing up, do read the section immediately outlining our community-authored code of conduct. 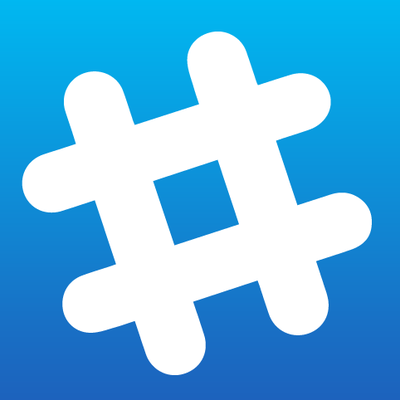 Official Slack chat for Bootstrap. Join Material Design enthusiasts to chat design, development and get feedback. Slack community for Django framework. We're a free, open-sourced community of code learners who help each other on Slack, schedule hangouts to group-learn at codebuddies.org, and crowdsource a newsletter to share shout-outs and accomplishments. Decentralized marketplace for instantly trading goods and services with anyone using Bitcoin. Platform for scientific computing, data management and collaboration. MakerHunt.co is an invite-only Slack community for ProductHunt Makers to discuss post-Product Hunt life. Join Hundreds of SAP experts around the world. Slack Community. A Slack group to discuss about Chatbots & AI across various platforms. We are open to developers, advisors, investors, budding entrepreneurs, & anyone who wants to build & promote bots. The slack chat for eCommerce developers and designers. A slack community for the content management system for creatives. Join the imgix community on Slack! Got questions? Currently a customer? Slack us up! We make a community where people can share their work experience and be able to find new useful contacts in tech world. Slack Team for Facebook Developers. We talk about #graph-api, #insights, #analytics, #ads, #parse and much much more. Slack community for Socket.IO. Talk to the core devs and the Socket.IO community. Learn from others and ask questions. Share your work and demos. Official Public Slack for Mesosphere DCOS. Slack community for Grails Framework. Slack community for iOS developers. Slack community for MODX content management system. Join fellow Craft users in the official Craft Slack group. It’s open 24 hours a day, 7 days a week! A Slack community for developers and operators of MidoNet, open source SDN for OpenStack and Docker. Slack community for Sinatra framework.